Arena tours await Tennessee's assured rockers. They say that music has the power to unite people of all ages and backgrounds, but that's not always been as true as it was when Tennessee rockers Shinedown took the stage in Newcastle's O2 Academy. The crowd - stuffed in so tightly you suspect it can't be too long before the band move on to the far larger Arena soon - were a veritable smorgasbord of age groups, looks and participation levels. The one thing uniting them was the infectious hook of Shinedown's equally eclectic set, which transcended the boundaries between tattooed old rockers and the kids who still insist on recording every second of a gig they aren't fully paying attention to. The band have been around now for the better part of two decades, exploring their sound as they've grown into hugely accomplished showmen. Their stage show bristles with showmanship, with lasers bathing the crowd and frontman Brent Smith engaging with the crowd before, during and after every song. Sure, that's perhaps not for everyone (at one point he took the time to address a local newspaper reporter who'd complained about how talkative he is), but as he said himself, the band feel like they'd be nowhere without their fans. When he says it - as infectiously as his lyrics come across and as full of charm - you really believe it. And no wonder he's appreciative, given how far the band have come. They feel like a band waiting for an arena tour - just as they should be up for consideration to headline Download within the next few years if they continue as they are - which was affirmed when Smith called for every lighter and phone to be lit up and the place was bathed in artificial sunlight. Their sound is assured - even in the usually unfortunately limiting surroundings of the Academy and its sound vacuum in the ceiling space - and incredibly refined, with Smith taking the opportunity to show off his vocal range a little more as the show progressed. On this sort of form, he's right up there with Miles Kennedy as one of the best vocalists in rock. 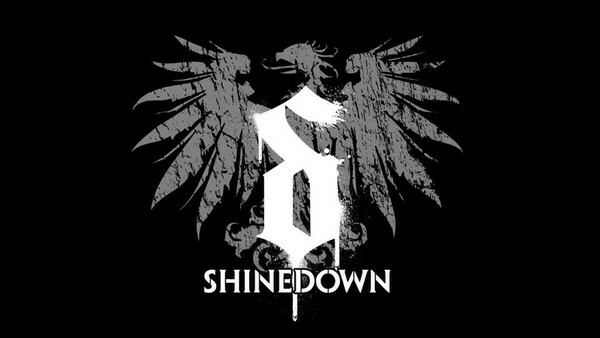 Shinedown's sound, which swaggers from chest-thumpingly heavy in their anthems to heartfelt and almost tender in their acoustic arrangements is their biggest asset. Yes, Smith is a hell of a frontman and the other three are very gifted musicians (and great showmen too), but it's the combination they bring that sets them apart. They're as good live as they are recorded and that goes a long way to explaining why they packed the venue out so heavily. As with every Shinedown gig these days, you sway headily through sing-along anthems like Get Up, Cut The Chord, Second Chance and Lynyrd Skynyrd cover Simple Man - often with a heavier lilt than their albums, to the delight of not just me - before being invited to jump (literally) and dance. All with Smith leading proceedings like a ringmaster and occasionally letting his cool slip for real reactions when the crowd kick back at him. They were loud, they were intoxicatingly charming and as an added bonus their merch doesn't feel like a secondary thought. Even brand new fans - and they're going to get more and more of them - will easily be able to see why they seem to inspire such enthusiasm. And any amount of time spent in the company of Smith's affirmative lyrics and crowd banter like this gig will hammer that home even more. If you get a chance, see them.